Why did Animal Activists Interrupt Hillary Clinton? The Democratic presidential nominee responded. “Apparently these people are here to protest Trump because Trump and his kids have killed a lot of animals so thank you for making that point,” Secretary Clinton told the audience. 1) Donald Trump’s sons hunt for sport. They kill elephants, alligators, leopards, and other wild animals for fun. 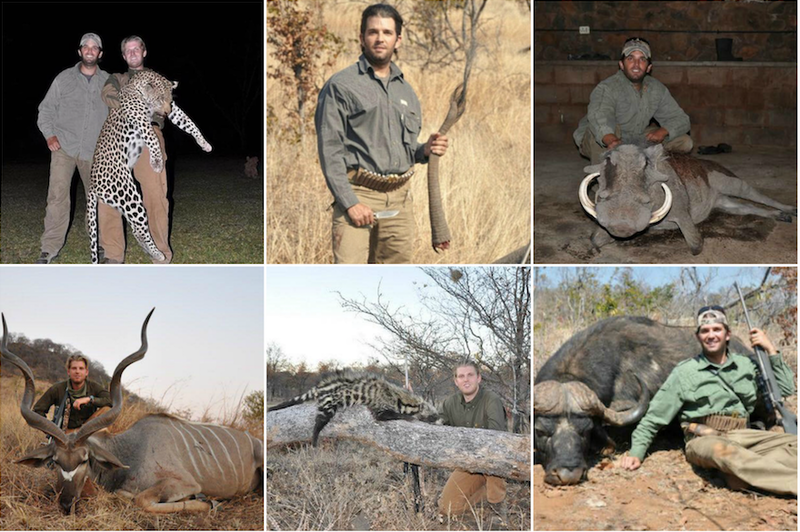 Trump has expressed his pride in his sons for killing animals and has mentioned how much they enjoy it. He has also stated that he doesn’t believe in climate change and might only “leave a little of the environment,” one of many statements indicating a Trump presidency would likely be catastrophic for animals, people, and the planet. It is a positive outcome that Clinton drew attention to the Trump hunting sprees (photos of them hunting have blanketed the internet today), however, the protestors were attending the event to engage Clinton and her supporters, not Trump. 2) Secretary Clinton includes a section on animal rights on her website, a welcome step and encouraging sign from a presidential candidate. President Bill Clinton and Chelsea Clinton experimented with plant-based eating. President Clinton has expressed how much better he has felt as a result. Thus, Secretary Clinton is familiar with animal rights and veganism. She is also aware that she has significant room to improve her positions on animal agriculture, fracking, and other related issues. Some people have argued that animal rights activists should not disrupt a Hillary Clinton rally because she is the more progressive candidate. That’s exactly why they should. She is more prone to listen and act. People shouldn’t be so afraid of protests. It’s a healthy exercise in a democracy to combat the status quo. It’s often how issues gain attention and steam. The problem isn’t the volunteers taking a stand for animals. They deserve praise for their compassion and determination. The problem is that politicians and government officials in positions of power aren’t doing enough to protect animals. If you care about animals, please contact Secretary Clinton and politely ask her to further explore, expand, deepen, and prioritize her positions on behalf of all animals. Until every cage is empty. The reason they protest Hillary is because they aren’t brave and they are afraid of what would happen to them if they did protest Donald. They take the path of least resistance and call themselves heroes when, in reality, they are heroes only in their own minds. You definitely don’t know this group if you think they’re afraid. You may disagree with the approach but fearful they are not. Protesting at a Trump rally is an exercise in futility. He is very close-minded and has shown no interest in animal rights or climate change. It’s a much better use of time to speak to the lower hanging fruit. For a cause with billions of people that need to hear the message, the “path of least resistance” that reaches the masses is the smartest path. Anyone who advocates on behalf of defenseless animals is a hero to animals. IF YOU COME TO NJ/NY, WILL PASS THE WORD AROUND. It baffles my mind that you would protest clinton when trumps sons kill so many exotic animals. You should be protesting him and getting word out about his horrible sons even if he will not change you need to let people know what his sons do. They could have said to HRC to remove Ken Salazar from her transition team. Salazar was former Sec of Interior who started the removal of wild horses from their rightful ranges. They languish in cattle corrals and thousands have been sent to slaughter even though they are federally protected. Trump has many more animal haters on his team including former congressman, Jack Kingston, a horse slaughter proponent and horse meat eater.